Hey Kuch -- how about a little something, you know, for the effort! 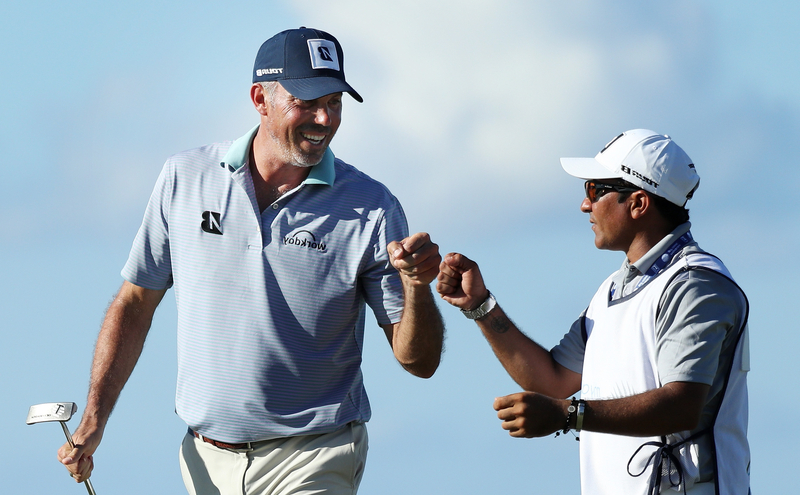 Yeah, we’re talking about good old Matt Kuchar, the guy who basically stiffed his Mexican caddie – David Ortz — after winning a whopping $1.296 million at the Mayakoba Classic last year. You’ll recall Kuch allegedly forked out just $3,000 to Ortiz, affectionately known in the Mayakoba caddie yard as “El Tucan.” Kuch squealed that wasn’t true and it wasn’t. Champions Tour player Tom Gillis found out is was actually a whopping $5,000. Hey Kuch, can you spare a dime, buddy? Perhaps Kuch told El Tucan that on his death-bed, he’ll gain total consciousness. As it turns out, Kuch was willing to go overboard and add another $15,000 to El Tucan’s pay. El Tucan thought $50,000 was fair. Then El Tucan made the critical error of emailing Kuch’s agent, who just happens to be The Great Stiney, aka Marc Stineberg, agent-honcho for notorious cheapskate Eldrick Woods. Poor El Tucan, he was hoping Kuch would actually have a conscious and send him another $45,000. All El Tucan wanted to do was open a little laundro-mat to get himself out of the hot sun down there. The Great Stiney has spoken. And don’t expect to hear from Kuch anytime soon. 5o k is a lot. But 5 k is a joke.